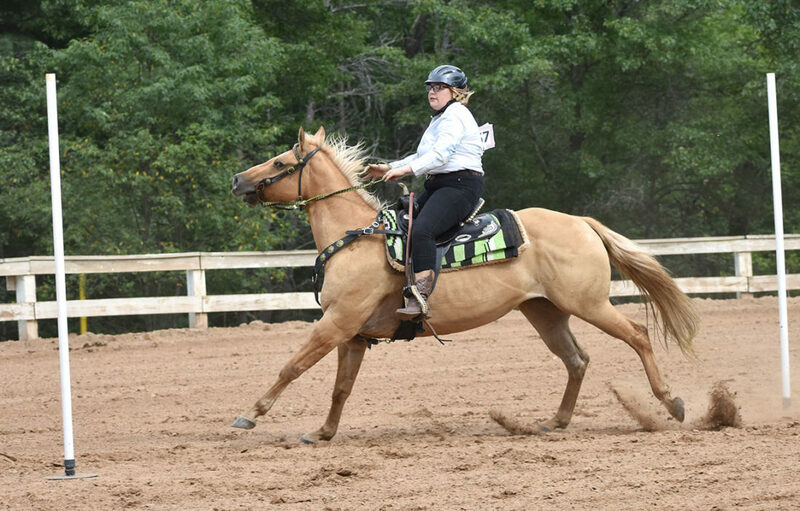 Chloe Lupinski, of Escanaba, and horse Shady won the grand championship in the poles competition, one of the speed horse events that took place Sunday at the Dickinson County Fair. It was her first grand championship at the fair, the 16-year-old said, though they did take reserve champion at the recent U.P. State Fair. Bailey Wells of Hermansville was reserve champion Sunday with Rosie. 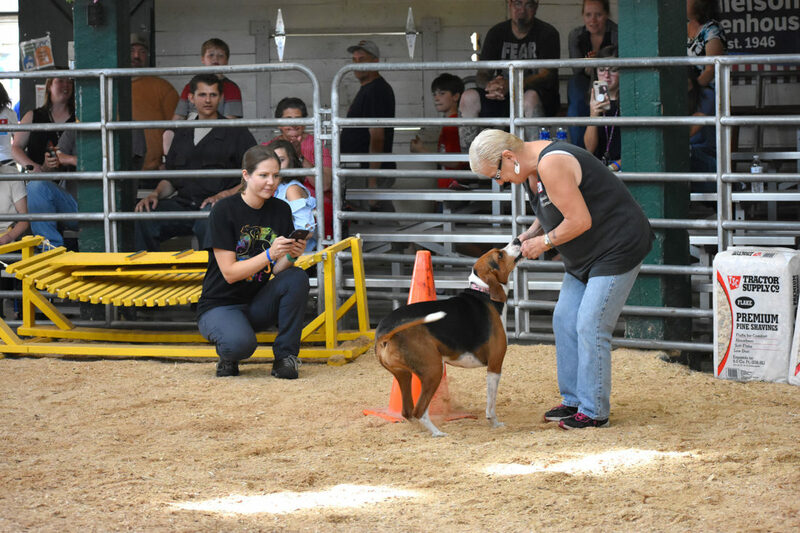 Barbara Preston of Kingsford rewards her three-legged coonhound, Chessy, after the dog crossed the ring within seconds when her owner called; the event was part of the fair’s fun dog show Sunday. Chessy didn’t win but was a crowd favorite and made Preston proud. Born with a torn left front leg that later was amputated, the 2-year-old hound has learned to function just fine on three good legs, Preston said. “She plays so good with my son Brad’s dog, Cole” — both Bradley Hawes, of Gwinn, and Labrador mix, Cole, were at the fair as well — “when Cole comes down, it’s game on.” The fair continues today.